Arrows take their season opener! In a repeat of their 2016 opener against the Redbacks, the Arrows endured a topsy-turvy affair to take their first league victory of 2017. 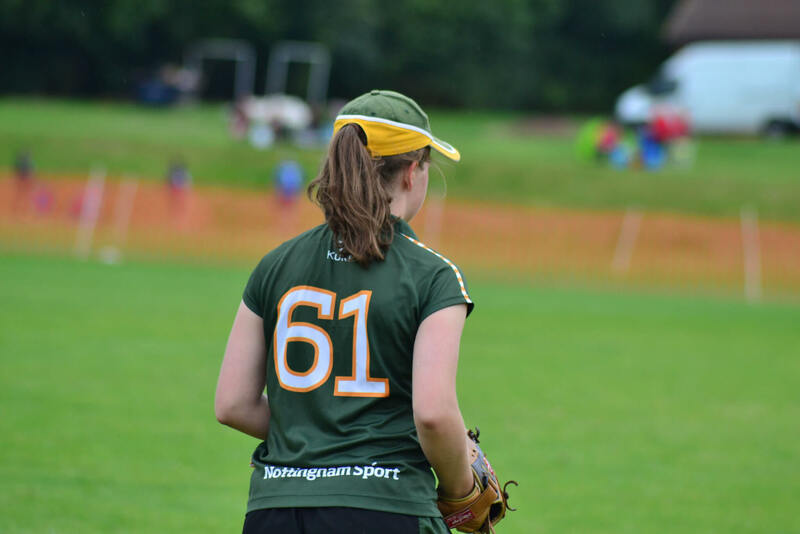 As always with the university of Nottingham side, there were a number of debutants on show to start the year, but all showed just how much the club had progressed in the last year, with a walk-off homerun from Rebakah Kay bringing home new captain Alec Newton and sealing the victory in the bottom of the seventh inning. The debutants weren’t the only ones on show however, as former captains and experienced heads Ashley Sofocleous and Luke Nelson both hit big early on as the Arrows took a commanding lead. Heading into the fifth innings the Arrows looked on course to secure a relatively simple victory. That was, however, until the Redbacks finally caught fire like they can with the bat, and a huge grand slam brought the game level at 17 runs apiece heading into the bottom of the 7th. That was until captain Newton stepped up with a big infield single to bring the game-winning run on base before Kay fired a huge hit to left-field to bring Newton home and ran in a run herself to complete the MVP performance.